PHOTO: Hole in the Wall Team Member Bobbie Smith and Natalie during Hole in the Wall museum exhibit. 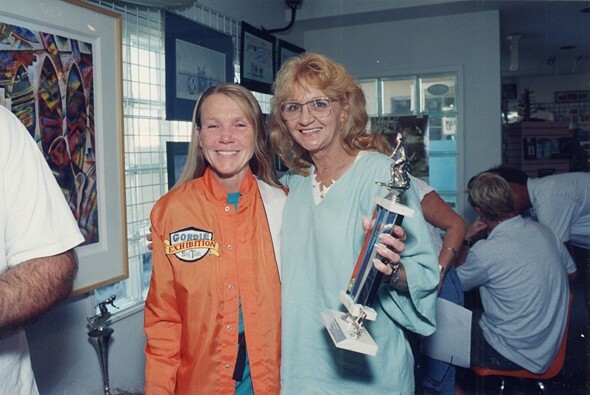 The International Surfing Museum of Huntington Beach began as the vision of local realtor Natalie Kotsch. 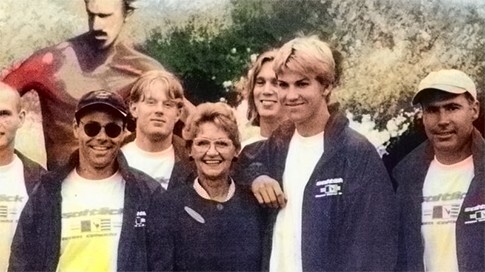 Realizing that surfing was a major part of life for the residents of Huntington Beach, she was stunned to find there was no real local attraction in HB to relate it to being the Surfing Capital of the World. 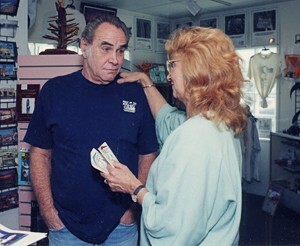 In 1982, Natalie assisted by Don Strout, began working on her museum project with local developers. Five years later in 1987, the museum opened on Walnut Street. 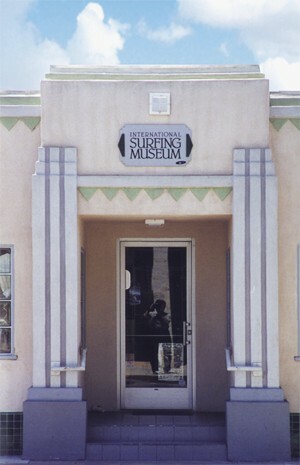 Due to the downtown revitalization project, the museum was moved to its present location on Olive Avenue just two blocks up Main Street from PCH and the pier. Natalie's second vision is the "Ultimate Surfing Museum." A museum that is large enough to proudly display the collection that the museum has acquired along with an Iwerks Theater, art gallery, tide pools and will be visited by thousands of international guest. Kotsch past away February 20th 2014 after a long bout with cancer. 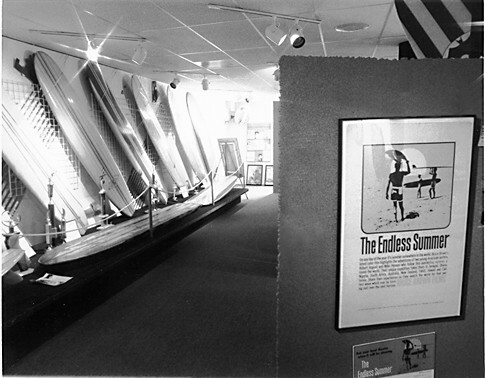 But with her followers, the museum continues to "Preserve Surfing and the Surfing Culture." Graphics for the first website and marketing materials for the International Museum that Natalie directed. PHOTO: Gordie Duane and Natalie inside the museum. 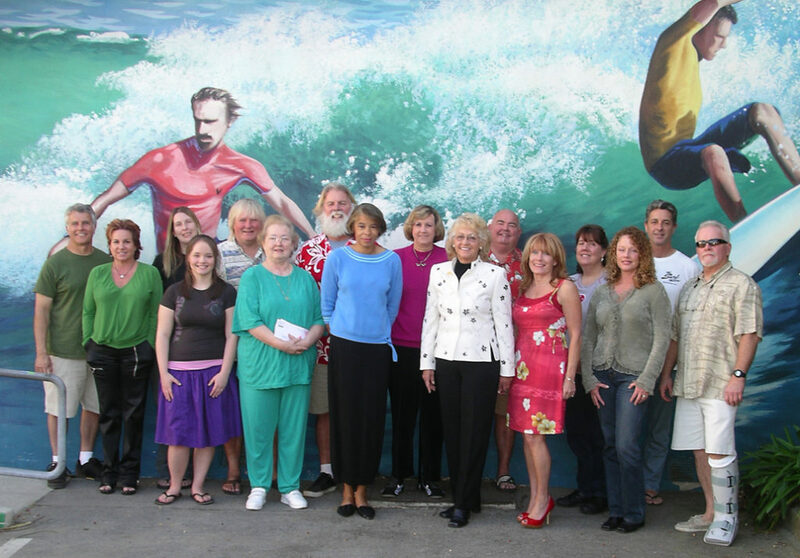 PHOTO: One of the International Surfing Museum board members and volunteers. Photo courtesy of Lew Harrison.